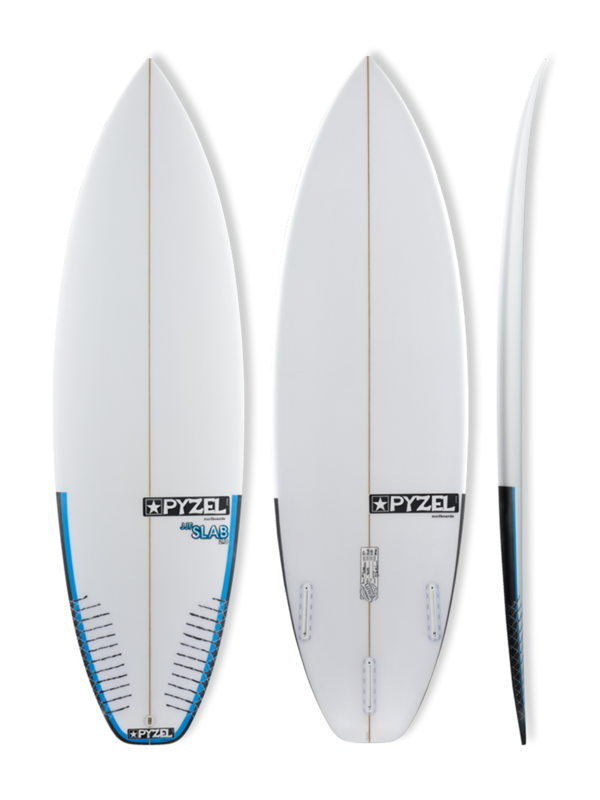 The JJF Slab 2.0 is a new, updated version of our Slab. John John has been riding this design for the past year, and even rode one in the 2015 Quiksilver Pro at Snapper, scoring a 9.23 in weak, slow conditions. After hearing his feedback about wanting something that would work better in those kinds of waves we took the Slab and made some significant changes to the bottom contours and rocker. We added a deeper, full concave that starts in the nose and blends into deep double concave through the back 1/3 of the board. We also dropped the tail rocker by a full 1/4 inch and made slight adjustments to the the nose rocker to better suit the forward concave.